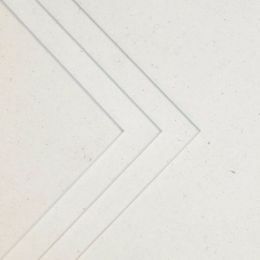 Moleanos White Honed Limestone Tiles are perfect for walls and floors due to their 10mm thickness. With an off-white consistent base colour and small grey fossils, these tiles add light to small areas and come with a bevelled edge. Honed surfaces can be sealed with LTP Mattstone Sealer for surface protection and easy maintenance.